One of the most important cities in the Yucatán long before the arrival of the Spanish, Izamal is still among its most beautiful. Called the Yellow City for the monochrome color scheme of its buildings, the City of Hills for the ancient pyramids which give shape to the land around it, and the City of Three Cultures for its harmonic balance of pre-Colombian, colonial and modern influence, Izamal ranks as perhaps the essential day trip from Mérida. Izamal was one of the first cities to be established in the northern part of the peninsula, founded sometime around 750 BC. Its connection to the sun god Kinich Ahau made it a place of pilgrimage and it was among the region’s most powerful cities for nearly two millennia, until the ascension of Chichén Itzá. We spent a couple days in Izamal, sleeping at the Santo Domingo, a former hacienda outside the town center which had recently been converted into a hotel. With large rooms spread across the grounds, an inviting pool and excellent home-cooked breakfasts, this was a lucky find. 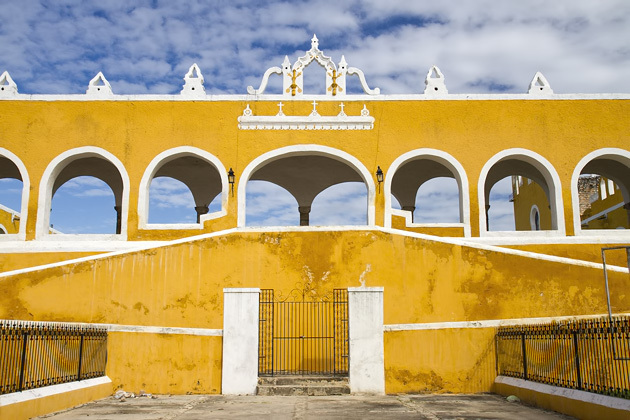 All of Izamal’s buildings, from the convent and the government palaces to the humblest corner shop, share the same deep shade of yellow, closer to ochre, and the effect is marvelous, particularly in the low light of the late afternoon. Although I’m not sure why or when they decided on this shade, the coloring makes the city feel unified. This was easily one of the most picturesque places we visited while in the Yucatán, and it’s readily apparent why Mexico honored it as one of the country’s first Pueblos Mágicos. Izamal - The Yellow City One of the most important cities in the Yucatán long before the arrival of the Spanish, Izamal is still among its most beautiful. Called the Yellow City for the monochrome color scheme of its buildings, the City of Hills for the ancient pyramids which give shape to the land around it, and the City of Three Cultures for its harmonic balance of pre-Colombian, colonial and modern influence, Izamal ranks as perhaps the essential day trip from Mérida. 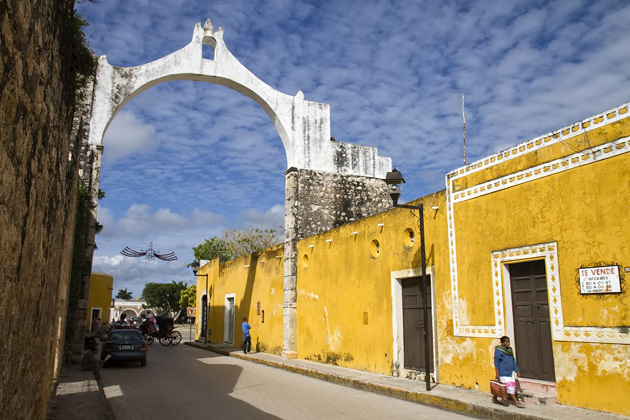 Pope John Paul II visited Izamal in August, 1993.The town was painted yellow and white, the colors of the Vatican flag, in honor of the visit.